Super Basic Black 24K Need Help? The Basic Shape is Retro Super Future's take on the classic wayfarer. Its slightly oversized and offered in a myriad of colors and designs. 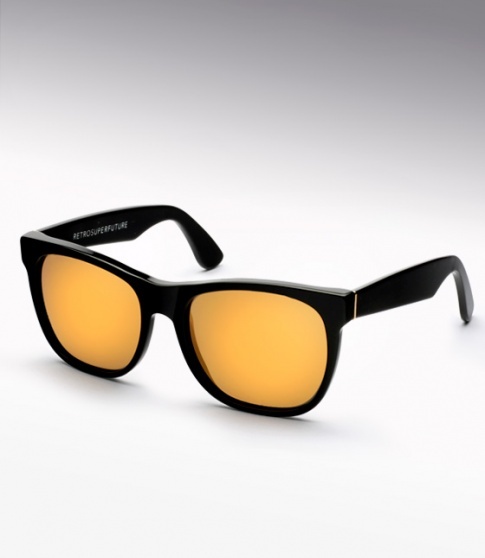 The Basic Black 24K features gold mirrored zeiss lenses that shine so bright, they blind.